kleineAnfragen is a website that indexes official questions and answers made by members of regional parliaments in Germany. These questions are publicly available at the regional parliaments, each using a different technology platform. 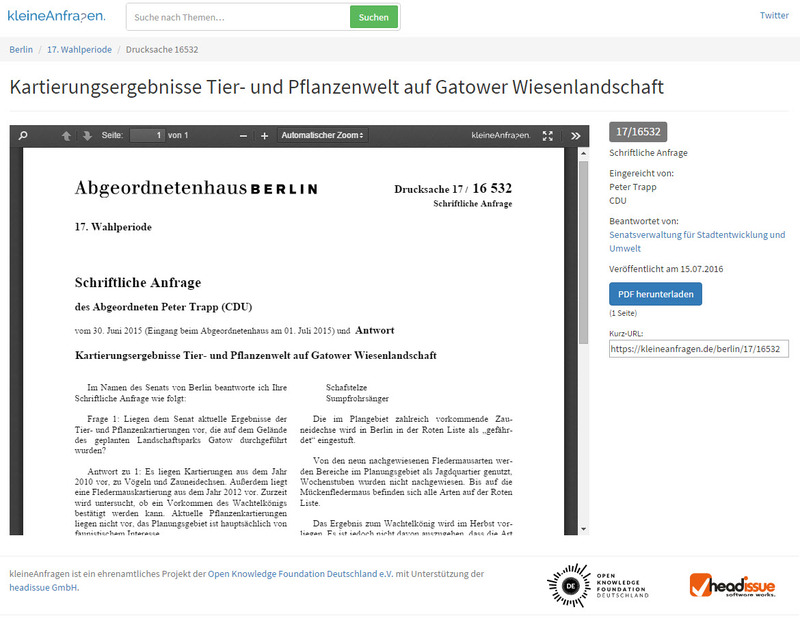 kleineAnfragen is the effort to provide a platform collecting all documents and make them easily accessible. This is a valuable tool that journalists and parliament members can use on a daily basis. The work of the parliament and politicians becomes more transparent. headissue provides expert knowledge in information retrieval, search and cloud storage. headissue is dedicated in operating part of the infrastructure.